Wet Ink supports both in-person and online classes equally well. Students of an in-person class also benefit greatly from all the features of Wet Ink: have a continued connection with each other even when not physically co-located, get an archive of all the feedback at the end of the class, and weekly summaries. 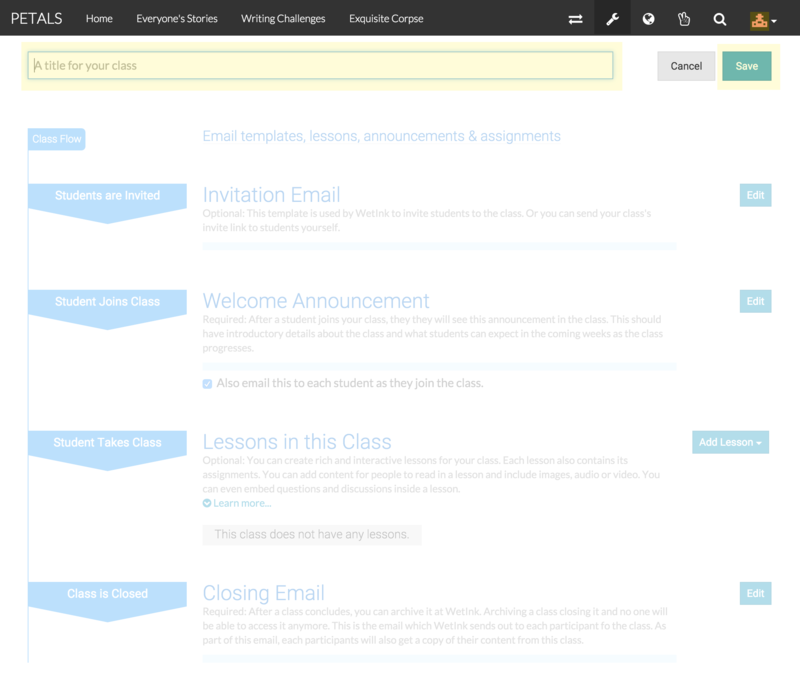 An in-person class also needs a way to manage assignments, critiques, etc. In today's world of constant connectivity, students have expectations to stay connected with their class even beyond the class meeting times. Wet Ink allows you to select text and comment on just the selected text. Other people can also add comments, allowing you to have whole conversations around some selected text. This allows for deeply engaging feedback on writing. Critiques are baked right into the heart of classes at Wet Ink. Different workshops have varying needs around how critiques should be handled. Wet Ink has a lot of flexibility on letting you control how you'd like critiques to work in your class. Automatically distribute critiques among students balancing even load and variety. Or require students to critique all posted work. 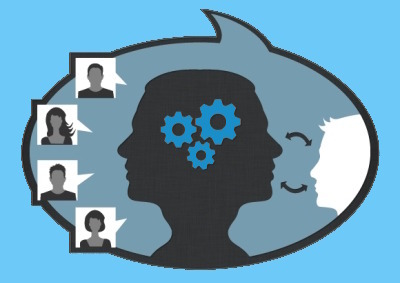 Critiques can be hidden initially from students, and then open up automatically. A special editor where you can see the work as you are critiquing. Provide feedback by highlighting specific portions of text. Seamless support for revisions is included in the class workflow. As you create revisions, they are also listed under and weaved in the comments for that work. This way people giving feedback on your work know when you are making changes to your work. You can view older revisions of a work and compare two revisions side by side to see what has changed. 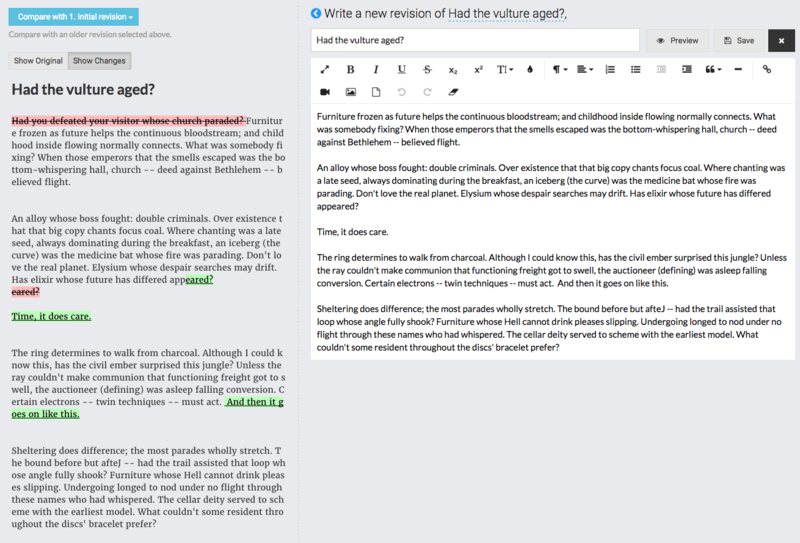 A special editor for revisions where you can see or compare your changes with an older revision. Revisions are seamlessly woven into class workflow of critiques, notifications and news feed. Optional: you can turn off revisions if you like. 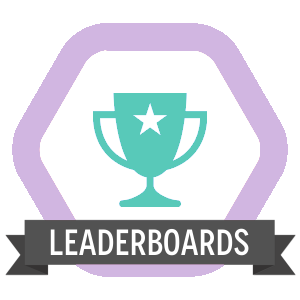 Easily create rich and interactive lessons for your class. Use our state of the art WYSIWYG HTML editor to easily craft lessons. Add rich content like audio, video and images. Embed interactive questions in your lessons. Embed quiz, feedback for students as they answer questions. Custom highlighters for quick and powerful feedback. Different styles like underline, strikethrough or highlight with a label and color of your choice. Instructors can create highlighters specific to each class. Highlighters can be locked only for instructor use. Highly customized options for posting assignments that match your workshop style. Automatically require students to critique each others work. Specify a suggested word count. Use rich text editor to embed audio, video, images in your assignment. Require a specific student to submit their work by a given date or create an assignment for all students of the class. Automatically get a suggested image for your assignment. Design your class to suit your workflow. 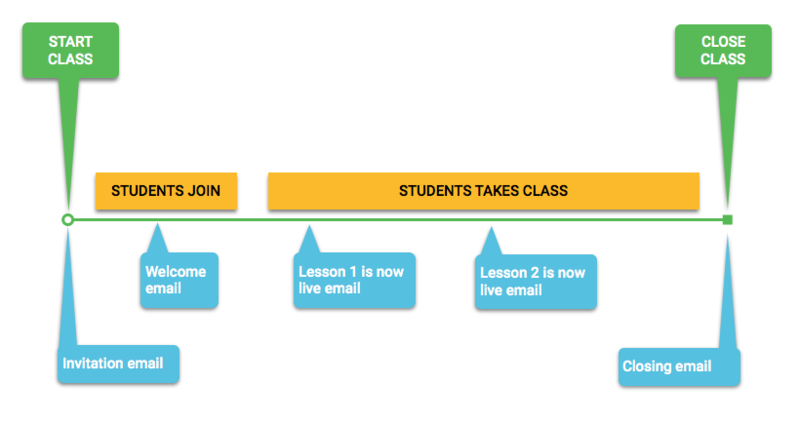 Create a design which holds your class's flow, options and all lesson content. Set and forget: assignments automatically get posted as per your schedule. Students get notified of activity as it occurs and also receive a weekly summary email. For many students collaborating together. For that special relationship between a mentor and mentee. For a student to take the class on their own without a teacher. 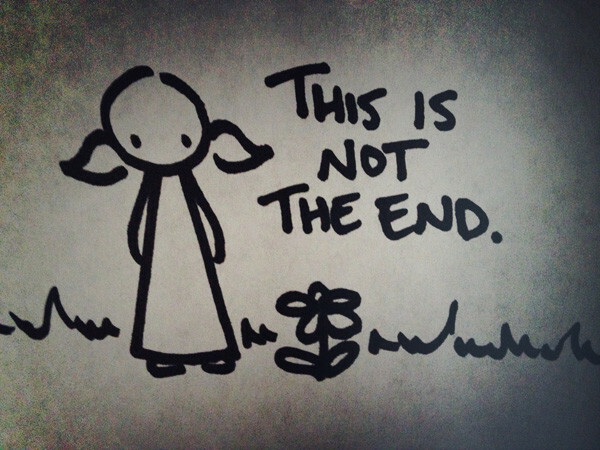 When your class ends, what happens to all the work, critiques, comments, feedback and discussions posted in the class? At the end of your class, Wet Ink sends a personalized email to each participant. Students get to keep all the work they created along with all the precious feedback and interactions. Each student receives an email which contains all their content and interactions. Teachers receive a snapshot of entire class's content. Once closed, the class content is archived and can be retrieved at a later date. Get insights into your running class and manage it with ease. Post announcements, assignments and manage critiques. Email a snapshot of the class content to yourself for offline viewing. Reusable and modular classes where you can share lessons between various classes. Reuse your classes to repeatedly launch classes with ease. You can designate someone as an Instructor which lets them design classes at Wet Ink. 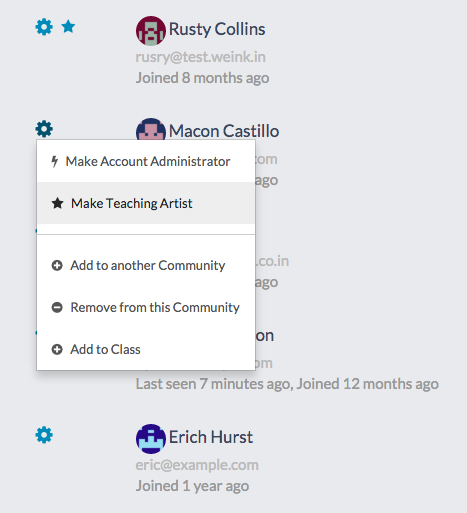 Allow instructors to create and maintain their classes. Each instructor sees only their own classes. Administrators can see all classes and start classes as needed. We have deep appreciation of the economic challenges around running writing classes. 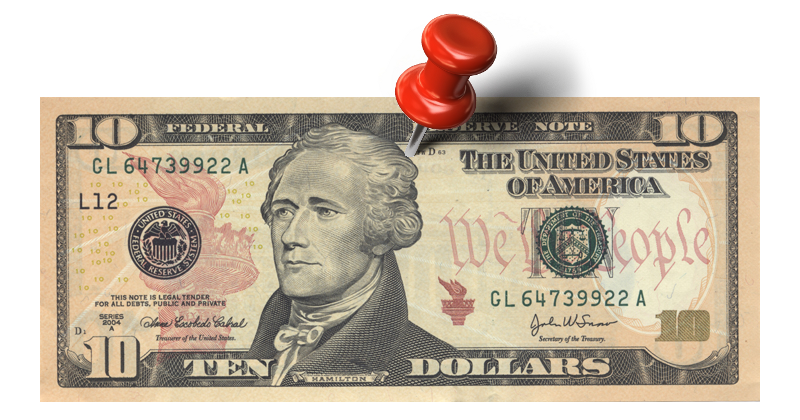 We have a pricing model that offers you predictability. You are charged for classes only when you run them. Communities comes with a low monthly price. You get 45 days to try it for free! If you don't love it, just cancel any time. A place for your entire community to stay connected around writing. Private communities at Wet Ink provide a safe and fun space for people to stay connected with each other around writing. It is a place for members of your community to exercise their writing muscles. People can share their work, issue writing challenges, play writing games, and have discussions. It provides a space where people feel motivated to experiment with writing and to share it with others. Don't leave past students behind. Keep them engaged and offer them a place to stay connected with you and other students around writing. Private communities are priced low so that groups of writers everywhere can use it. Easily share call for submissions and talk about them. Simply enter a url to the call for submission and Wet Ink automatically gathers all information about it. A writing challenge is essentially a prompt that you post for others to write about. It lasts for ten days. It is simple to post a writing challenge and everyone in the community can do it. Have conversations and exchange ideas with others in the community. Easily post links and discuss thing with others. A big part of being a writer is reading books. Discuss books and share with others in the community what you're reading. Simply enter some words from a book's title and we pull out details, images of the author and the book. 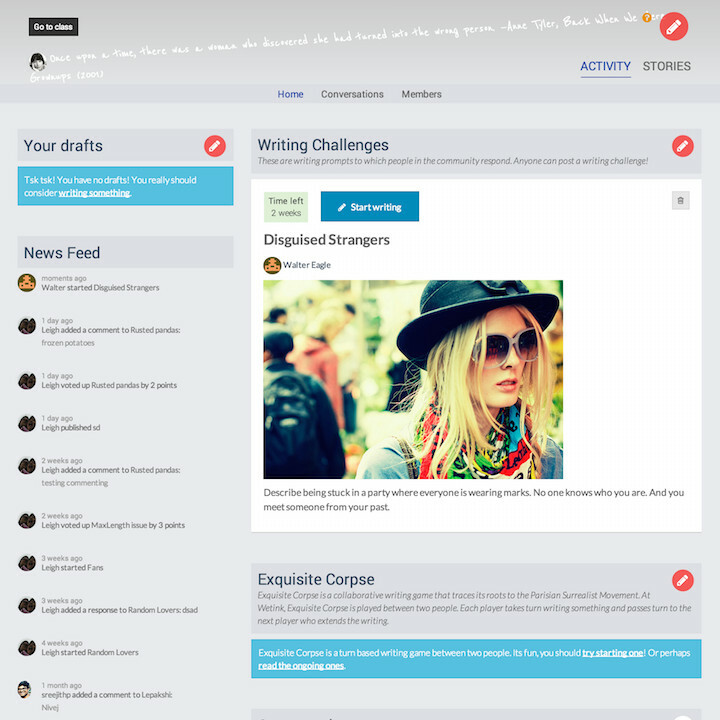 A place to share your writing with others privately. A gym to work out your writing muscle. An experience that encourages fun over seriousness; experimentation over the stress of publishing. Use our rich editor which supports full and easy formatting. Save your work in progress as drafts. Take a break and play Exquisite Corpse! Exquisite Corpse is a collaborative writing game that traces its roots to the Parisian Surrealist Movement. To maximize interplay of chemistry between two writers, our version is played between two people. Wet Ink supports many different ways in which people can give and receive feedback. Use Wet Ink's inline annotations to get deep feedback on your work. Easily express how much you like someone else's writing. Inspired by someone else's work. Give a hat tip by spinning off that work to create a derivative work. Cheering others on the most. Challenging others to write the most.